The most culturally enduring image of archaeology involves digging for ancient artifacts, excavating tombs, and, of course, Indiana Jones. Although the romanticism of exploring ancient temples with a bullwhip and a battered hat is quite far from reality, archaeology is still associated with Harrison Ford’s adventurist charisma and, perhaps more erroneously, misconceived solely as a social science. It turns out that science and precise analysis play absolutely indispensible roles in archaeological discovery. In reality, various scientific techniques, such as radioactive carbon dating and chemical artifact analyses, have been critical to the work of Yale Professor of Anthropology Rod McIntosh, who has been studying West Africa for over 33 years. From his studies in Mali, McIntosh and his team have recently uncovered one of the oldest urban civilizations, the Ancient Middle Niger, which dominated a region more than five times the area of ancient Egypt and three times the area of Mesopotamia. With its earliest cities dating back to the mid-first millennium BC, the Ancient Middle Niger was once sprawled with non-nucleated developed cities, spanning a massive 170,000 square kilometers. It may seem strange that such an impressive territory has only recently captured the world’s attention, but scientific advance-ments can begin to unveil the story. In the 1960s and 1970s, the field of archaeology underwent a revolution upon the introduction of the “New Archaeology” philosophy. Advancements in technology drastically improved what archaeologists could dig out of work sites, allowing researchers to obtain a plethora of new artifacts. The increased efficiency of previously used scientific techniques and novel technology, along with rigorous applications of the scientific method paved the way for a more lucid understanding of excavation sites and prompted a more holistic and open mindset in archaeology. Previously, archaeological digs were almost exclusively conducted in prior-identified ancient cities to find a castle or any remnants of a central authority figure—and if those did not exist, the ruins were not believed to be a significant site. Archaeologists traditionally believed that it was necessary for a centralized power to organize a civilization, and for that reason, there was an inherent prejudice against the idea of a self-administering city and a disbelief in the ability of West Africans themselves to weave together a complex system of cities, networks of trade, and states. Consequently, time after time, the mounds of the Middle Niger were observed and merely dismissed, left to languish in the searing Saharan sun. It was not until 1977, in the spirit of the “New Archaeology,” that McIntosh and two fellow archaeologists stumbled upon Jenne-Jeno, which eventually became the first city to be discovered in the Middle Niger. These archaeologists were awed by the vast fields littered with artifacts. With great intrigue and perhaps an Indiana Jones-esque sense of adventure, they came to understand the site as a city without a citadel. According to McIntosh, archaeology is at the intersection of science and the humanities, as it depends upon fields such as art history, anthropology, history, in addition to chemistry, geophysics, and geology. While the social science aspect of the field allows archaeologists to contextualize their research and achieve a rich anthropological and historical perspective, archaeology also follows the rigid requirements of the scientific method. “I’m proud of the field fitting into both categories—one hand in science, and one in the humanities. It allows us to make interdisciplinary applications and provides us a different way to think about material,” McIntosh said. McIntosh’s lab depends upon a wide spectrum of different scientific techniques. Members utilize an extensive group of composition and elemental analyses, such as petrographic analysis, X-ray diffraction, and electron microprobe analysis, to determine the source and composition of artifacts. In addition, the department’s archaeometallurgy lab is working on map-ping the evolution of pyrotechnology in metallurgy and ceramics. They have used such methods to understand the first occurrences of smelting worldwide. Some of the scientific analyses even have promising medical implications. Through archaeohistology and bone mineralization studies, McIntosh’s team has identified chemical markers on bone tissue that can help distinguish the formation of the pathological bone structure of malaria patients. From uncovered bone samples, the lab can study the ecological conditions under which malaria became prevalent in humans. With these data, they hope to create solutions to prevent the spread of malaria and other similar vector-borne diseases. Currently, McIntosh is putting the finishing touches on a new experimental dating technique involving unparalleled archaeomagnetism technology. Archaeomagnetism is a dating method which uses magnetic minerals to date artifacts based on the direction and the intensity of the Earth’s magnetic field relative to the current magnetic field. With this new addition to McIntosh’s lab, archaeologists at Yale will be able to analyze samples that previously could not have been dated. Through dating techniques, McIntosh and his team have determined that the earliest cities of the Middle Niger date back at the latest to the mid-first millennium BC. Evidence from artifacts reveal that some cities were of comparable size to the London and Paris of the time, with enormous populations, sophisticated trade and crafts, and large-scale production of goods. Additionally, chemical analysis assays on metallurgical sequences from the tells of Jenne-Jeno have demonstrated that this ancient civilization utilized iron during the last several centuries BC. Having found intact remains of smelting, the primary reduction of iron ore, and smithing, refinement of ore into useful iron, in Jenne-Jeno, McIntosh determined that iron was not only used by the West Africans but also produced at very high qualities. Though these findings may seem technical, such archaeological data have proven quite important to the inhabitants of West Africa. Unlike the United States, other countries are extremely invested in their prehistory. Of the handful of original civilizations throughout the world, only two were previously known to be in possession of iron. With the Middle Niger serving as the premier example of ancient democratic organization, McIntosh’s findings have instilled the Malians with a tremendous source of national pride. During McIntosh’s undergraduate years at Yale, he was already certain he wanted to be an archaeologist. He first started digging at age twelve during his summers at an eighteenth century mill in Bethlehem, Pennsylvania, and now he takes his Archaeological Field Techniques course to the same historic site for weekend digs. During his sophomore year at Yale, McIntosh traveled to Ghana for his first overseas archaeological study. “Ever since, I’ve been hooked on Africa and have gone back almost every year,” McIntosh said. The Archaeology Department currently sends students to excavations all over the world in countries including Peru, Mongolia, Mali, South Africa, and Greece. 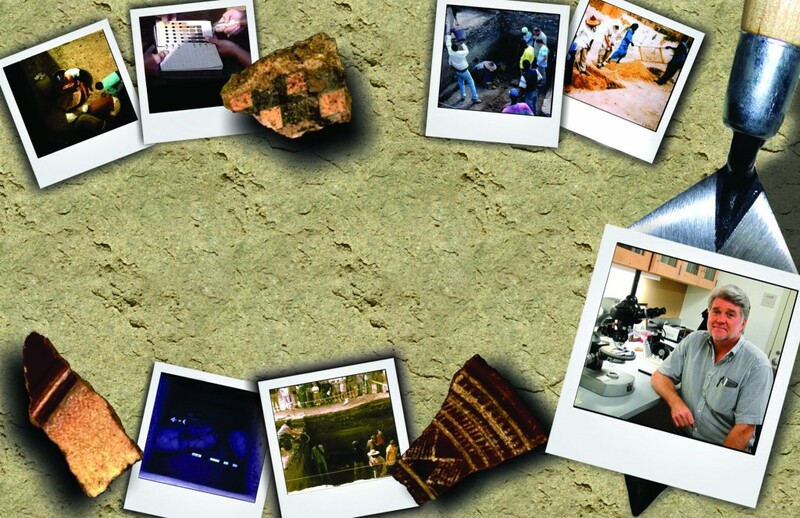 Wade Campbell BK ‘11, Kirsten Forsberg BC ‘11, Kirsty Escalante SC ‘11, and Evin Grody TC ’12 are some of the Yale undergraduate archaeology majors who have conducted independent projects abroad. McIntosh, who is also the Director of Undergraduate Studies for Archaeological Studies, works hard to assure that all archaeology majors at Yale have the resources to travel abroad, hoping that they will discover a passion for archaeology just as he has. WILLIAM ZHANG is a sophomore Molecular, Cellular, and Developmental Biology Major in Ezra Stiles College. He has been a big fan of Indiana Jones and found it absolutely enlightening to speak to a real archaeologist. The author would like to thank Professor Rod McIntosh for his time, hospitality, and passion for sharing his research, especially in light of his exceptionally busy schedule. McIntosh, Roderick J. Ancient Middle Niger: Urbanism and the Self-organizing Landscape (2005).